August 22, 2018 at 7:09 p.m.
Class of 2019 forward Chandler Lawson told KUsports.com on Wednesday night that he will travel to Lawrence to visit Late Night in the Phog on Sept. 28. The 6-foot-8 versatile forward from Memphis is the younger brother of current Kansas players Dedric and K.J. Lawson. Also attending Late Night in the Phog will be the youngest Lawson brother, Johnathan. A member of the Class of 2021, Johnathan Lawson already is considered to be a Top 20 player in the class. Much like his brothers, he brings a lot of versatility to the court. 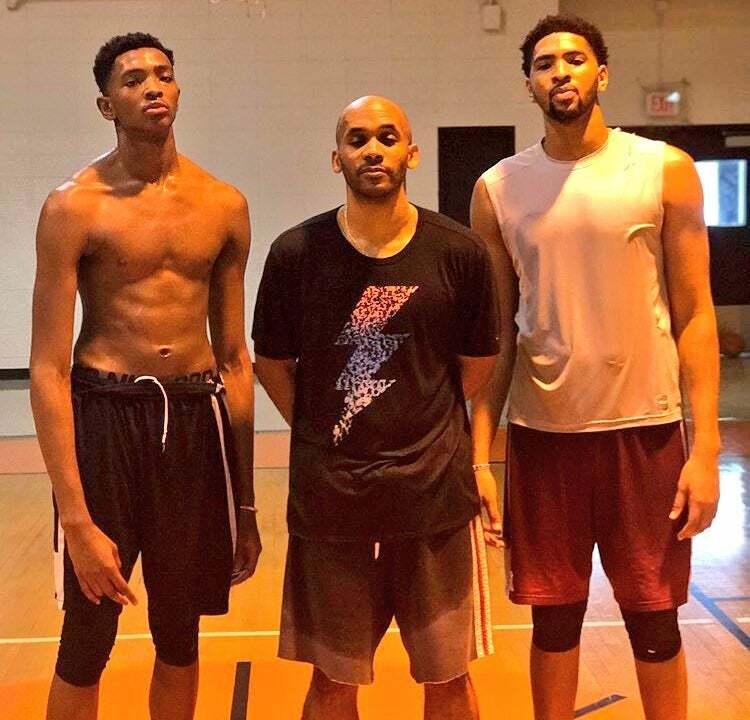 Chandler recently made the decision to finish his high school career at Oak Hill Academy in Mouth of Wilson, Va. Former Kansas player Billy Preston, and current Kansas big man David McCormack are both Oak Hill alums. Both Chandler and Johnathan Lawson attended Late Night last year, but with both Dedric and K.J. being eligible to play this season for Kansas, the excitement level for this year's Late Night is at a much high level for the Lawson family. Dude has the longest arms I've ever seen. +12" wingspan, look at him next to Dedric! Seems to me like the better his brothers do at Kansas and the more accolades he receives, the better the chances of landing Chandler. He'll be excited about the program and rooting for Kansas in games. Have to beat out the hometown team, but the fact that his brothers transferred from there to attend Kansas can't hurt. my thoughts exactly..as powerful a recruiting advantage Penny is, if his older siblings can get in his hear and be like 'hey, i know we are from Memphis and Penny is a family friend, but if you want the best chance to develop and make the NBA then you need to come to KU"